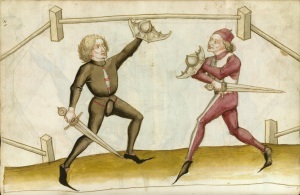 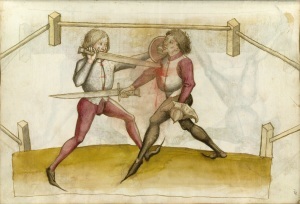 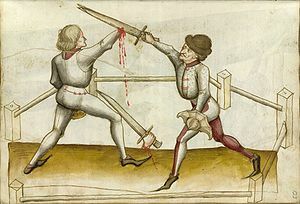 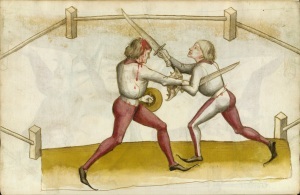 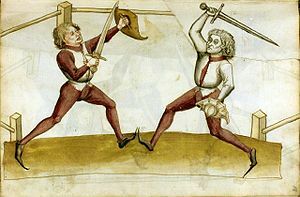 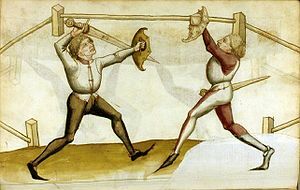 This "sparring-friendly" buckler is based upon Talhoffer's fechtbuch illustrations, particularly from MS Thott.290.2º, but it isn't quite as hard-core as the heavier (and spikier!) 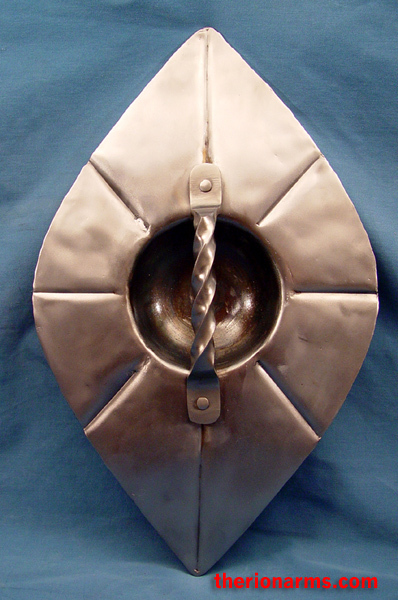 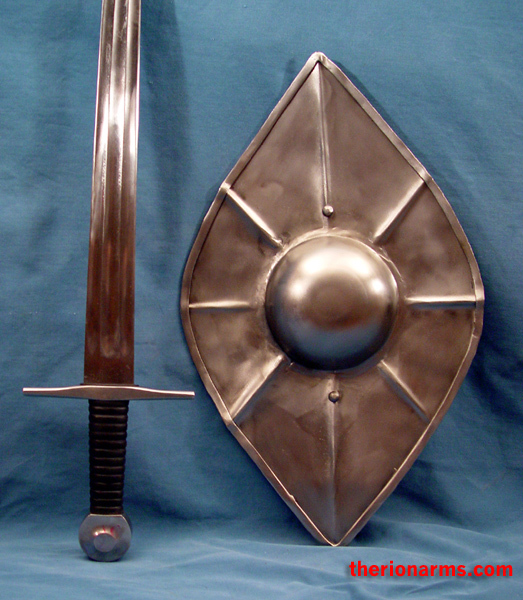 Talhoffer buckler. 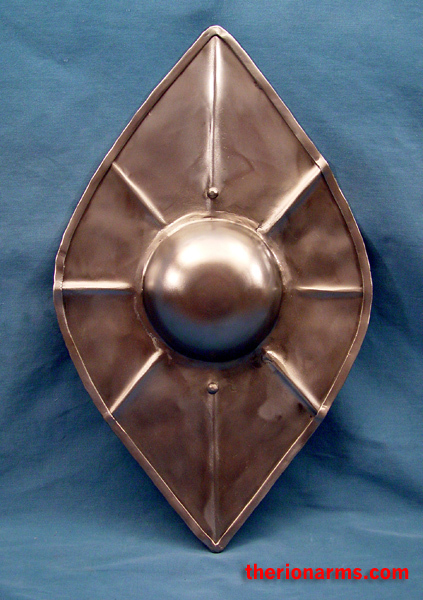 Lozenge/diamond shaped with a central boss and an upstanding twisted steel grip and a slightly concave face. 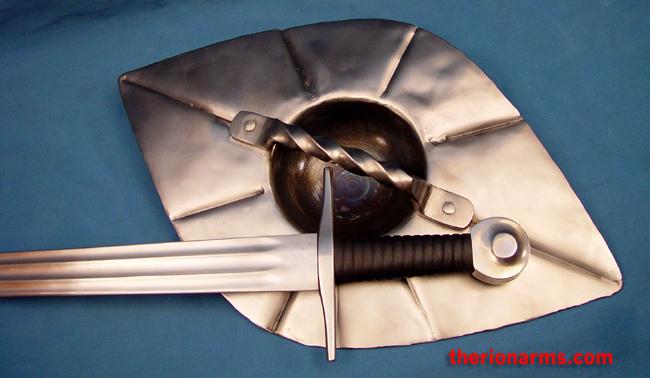 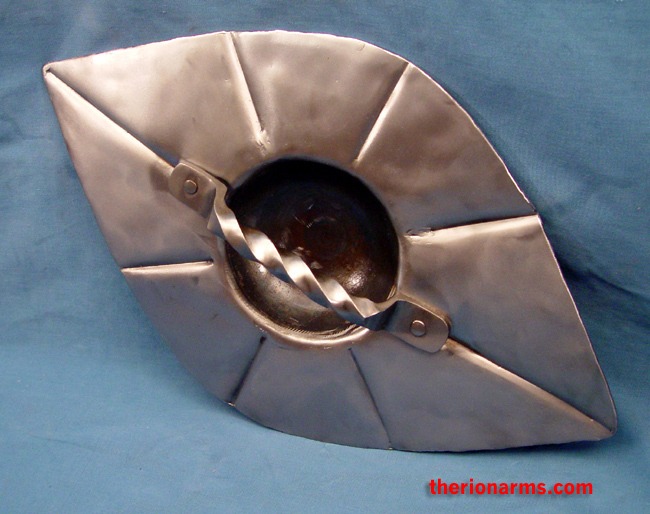 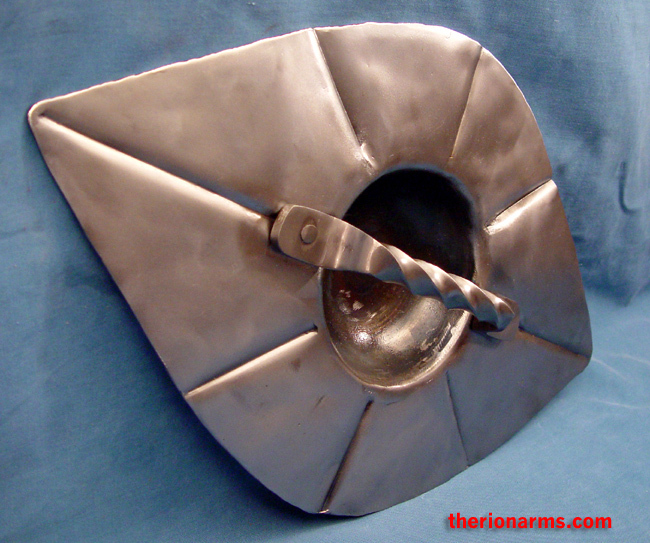 Made from 16 gauge mild steel with rolled edges and reinforcing flutes. 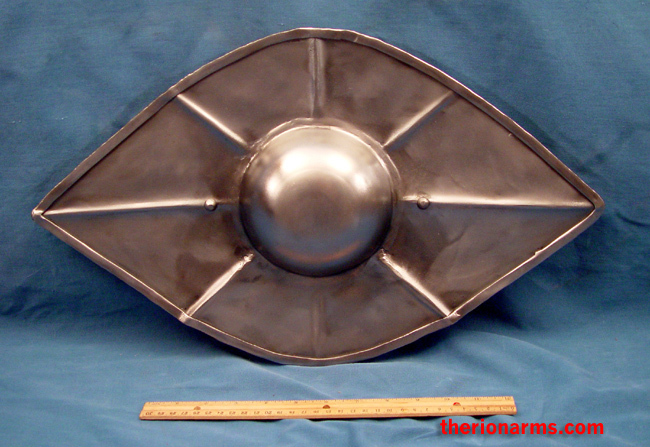 size: 19 3/4" x 12"